We at City Tile know that spring is the time spent giving your home that fresh and clean feeling. You scrub the floors, wash the windows, and air out every room after being cooped up inside during the long, cold winter. Out in the garden, you dig out last year’s dead plants, and replace them with new ones. When you are all done everything is blooming, and your house is as fragrant as jasmine blossoms riding the evening breeze. Yet, something isn’t quite right. Your home still feels cluttered. Cleaning is one thing, getting your home decluttered and tidy, that is something else entirely. Perhaps you have read all the books on organizing your stuff, but this year you find you have more organized stuff bulging out of your closets than you had last year. It is time to purge. Time to get serious about getting rid of some of that old stuff. Minimalism and downsizing are on the rise. Recently the Nashville Scene had a story about high end homes being built in the area having less than 500 square feet of space. When space is at a premium, you have to decide what is really important to keep. We found two books that we think you will find helpful as you do Spring Cleaning. Perhaps, using these books for reference, this year you will finally get rid of that stuff that has been in the back of your closet since college. The stuff you repeatedly notice and say, “oh, I forgot I had that,” promptly putting in back where you found it and forgetting it for another year. The first book is an international best seller and #1 on the New York Times Best Seller List. 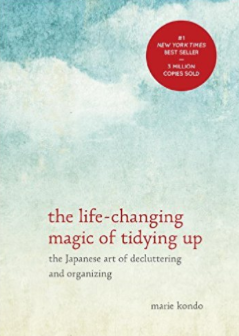 It is called The Life-Changing Magic of Tidying Up: The Japanese Art of Declutteringand Organizing. The author, Marie Kondo, has developed a method for decluttering your home once and for all. She calls it the KonMari Method. This is not a method for the feint of heart. This is for those of you who are serious about lightening the load. If you follow the KonMari Method implicitly, you will more than likely cut from two-thirds to three-fourths of your possessions, while creating a more relaxing and easy-care living environment. It does work. And it is life changing. Those who have applied her method of cleaning say that they have become more relaxed, more focused, and better able to cope with life’s 24-7 craziness. According to Kondo, you have to set aside six months, and you start cleaning by category. Every day. The first category is tops belonging to the person doing the cleaning. You take EVERY blouse, t-shirt, sweater, coat and assorted shirts from all seasons out of drawers, closets, trunks, and any other storage, and throw them all on the floor in the middle of the living room. Then, one by one, touching each item, you ask yourself, “Does this give me joy?” If it doesn’t, out it goes into a garbage bag (we’ll get to what to do with the stuff in the bags in a minute). After tops are bottoms, and it goes on from there, through the entire house. When you are done following the KonMari Method, you will probably have 30 or more garbage bags full of stuff. One couple that were clients of hers had over 500 bags! Once you have purged, she explains how to reorganize everything for easy use, especially how to fold. When you are done, she guarantees you will never again accumulate anything you don’t love, and you will want to keep purging, ensuring you keep only what brings you joy at all times. So, what do you do with these thirty bags of stuff? You pick up the book Sell, Keep Or Toss? by Harry L. Rinker, to decide how to get rid of it. The book was written to help those having to settle an estate, but he gives lots of wonderful tips on how to decide what to sell, donate or trash. How you break down your stuff will be based on value. Value, Rinker says, is based on condition, scarcity, and desirability. Rinker tells you how to create a disposal plan to maximize your financial return on the items of which you are divesting yourself. He talks about auction houses, second hand stores, garage sales, and selling on the Internet. He even talks about how to go through the real junk, like non-working small appliances, to see if there is a way to make some cash off of them as salvage. We hope these books help you turn your house into a happy and healthy, clutter-free, neat and orderly home, even in the deepest closet, And maybe make some profit off the clutter you no longer want. As they say, one man’s treasure…. 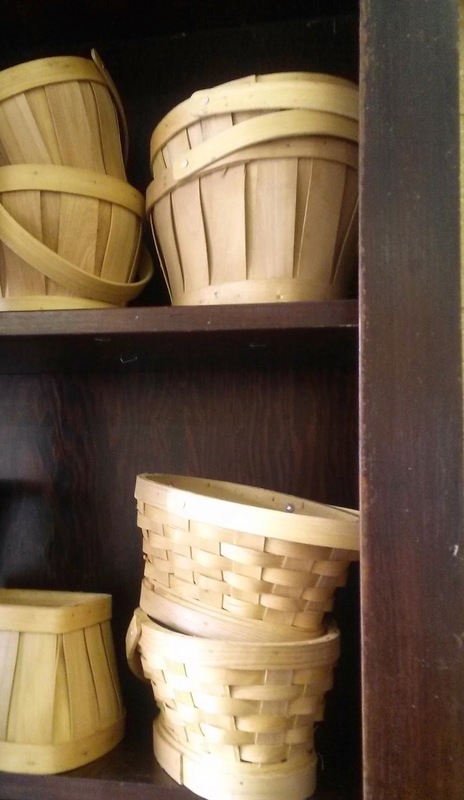 After taking all the time and making all of the effort to clear your house of things that no longer have meaning for you, make sure to keep everything well cared for. We can help. Our cleaning products for wood , rugs and resilient flooring will make maintenance a snap. When you are done, breathe in the fresh air. Take the time to pause and immerse yourself in the nurturing space that you have created.